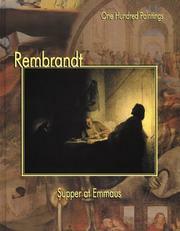 Drawings of Rembrandt: with a selection of drawings by his pupils and followers. Les Plus belles eaux-fortes de Rembrandt choisies dans les quatre principales collections de Paris: Musée du Louvre, 29 octobre 1969-5 janvier 1970, exposition organisée à l'occasion du tricentenaire de la mort de l'artiste. [Paris. 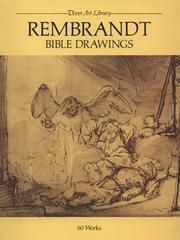 The drawings of Rembrandt .. 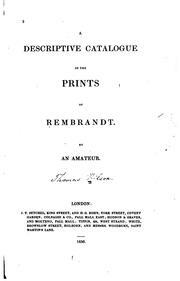 The complete edition of the paintings: by A. Bredius. 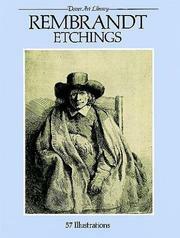 Rembrandt: experimental etcher: [exhibition] Museum of Fine Arts, Boston [and] Pierpont Morgan Library, New York. Engel für andere. Auf Rafaels Spuren. 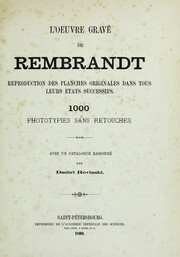 L' œuvre gravé de Rembrandt: reproduction des planches originales dans tous leurs étates successifs, 1000 phototypies sans retouches. Avec un catalogue raisonné par Dmitri Rovinski. Rembrandt, beyond the brush: master prints from the Weil collection. 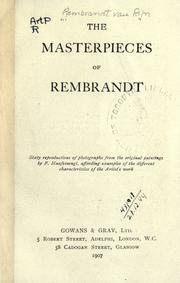 Die Meisterbilder von Rembrandt: eine Auswahl von 60 Reproductionen nach Franz Hanfstaengls Original-Aufnahmen. 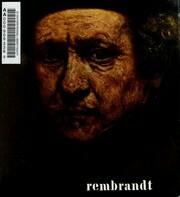 Rembrandt als leermeester: Stedelijk Museum De Lakenhal, 1 juni-1 september 1956. 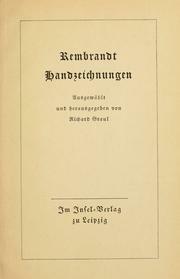 Das Leben Jesu in Bildern: Handzeichnungen, Radierungen von Rembrandt. 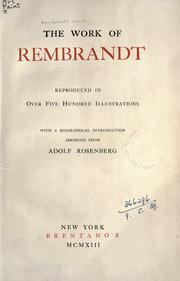 Rembrandt, Picasso: a comparative exhibition of prints, October 16-November 15, 2003. 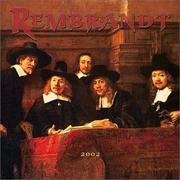 Rembrandts sämtliche Radierungen in getreuen Nachbildungen ..
Oog in oog met de modellen van Rembrandts portret-etsen =: Face to face with the sitters for Rembrandt's etched portraits. 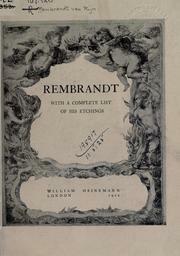 Rembrandts zelfportret met schetsboek: [Owner] Roscoe and Margaret Oakes Foundation [exhibited in] M.H. de Young Memorial Museum, San Francisco. [Tentoonstelling] zomer 1968, Museum Boymans-van Beuningen, Rotterdam. Rembrandt som grafiker: en utställning från Nationalmuseum med anledning av 300-årsminnet av konstnärens död. 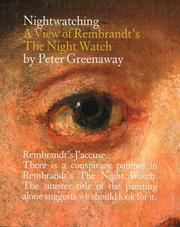 Are you sure you want to remove Rembrandt Harmenszoon van Rijn from your list? 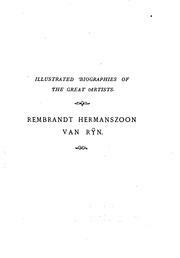 Rembrandt, Hermanszoon van Rijn, 1606-1669.